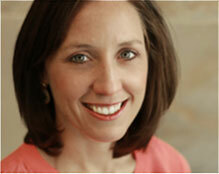 Britten Parker is a Facilitator and Leadership Coach with InnerWill. She is also the Senior Leadership Partner at Luck Companies. Britten is an experienced trainer, facilitator, and coach specializing in Values Based Leadership. She is talented at connecting with audiences with her energy and down-to-earth approach. She especially loves helping individuals discover their core values and helping groups and organizations gain alignment to be more effective. Britten’s ability to connect with audiences quickly and invest in organizations deeply positions her well to do both keynote speaking and work with long term clients committed to deep culture change within their organizations. Britten has expertise in using a variety of instruments to help organizations manage their cultures. She supports Luck Companies and external clients in the administration of Associate Engagement Surveys as well as supporting implementation plans for improvement. Britten earned a Bachelor’s of Science from James Madison University, a master’s degree in Counselor education from University of Virginia, and a certification in business coaching from North Carolina State University. She spent several years working in higher education focusing on leadership development in the undergraduate population before transitioning into a role at Luck Companies in 2005 to focus on creating a culture rich in values. Britten lives in the Bon Air area of Richmond with her husband, Dave, and son, Reese. The Parker family has three dogs, Chili, Hudson, and Truman, who provide many hours of entertainment. Britten loves exercising with friends and creating craft projects in her free time. Britten’s ability to connect with audiences quickly and invest in organizations deeply positions her well to do both keynote speaking and work with long term clients committed to deep culture change within their organizations. Britten falls in love with each organization that she supports; she will feel like one of you! She works hard to understand the key issues of your organization to design programs that make an impact for audiences and organizations.